This Ritual Table Lamp is a remarkable piece. 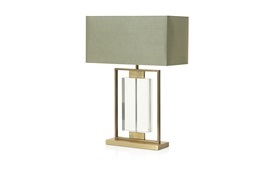 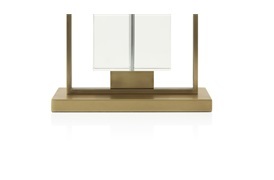 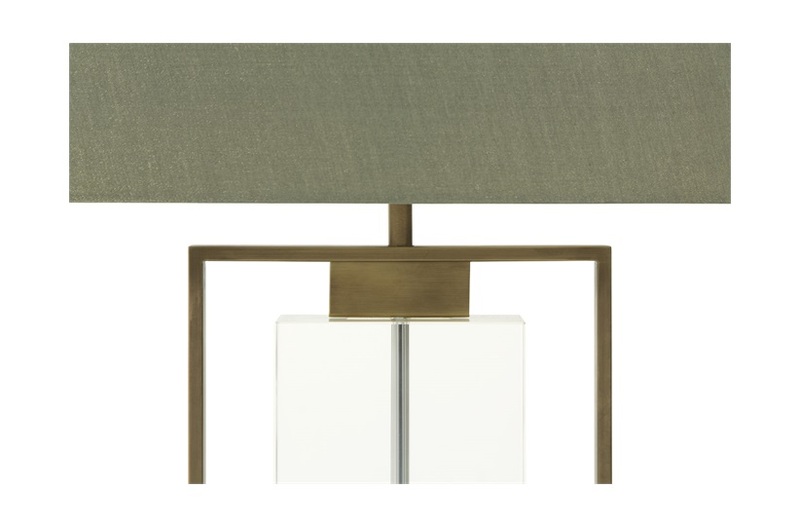 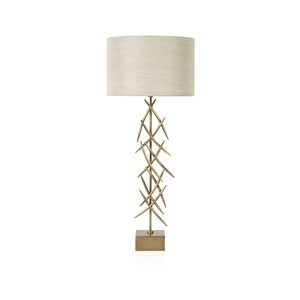 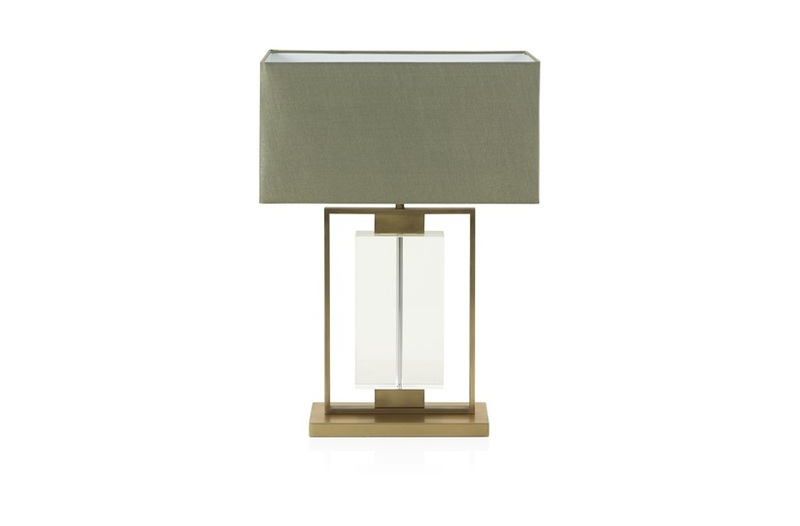 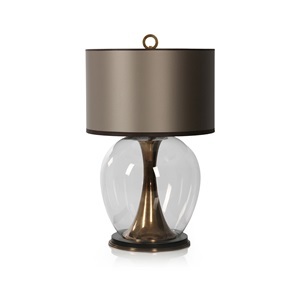 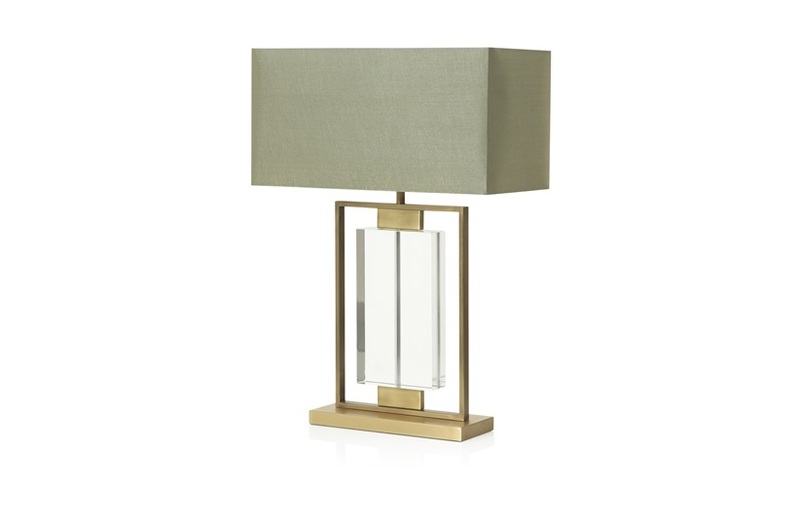 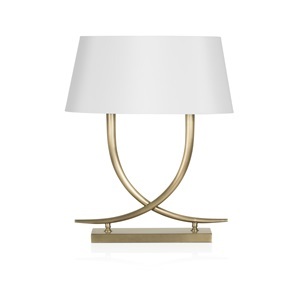 The design-led stem is fashioned from a gold brass frame with a clear crystal block suspended in the centre. 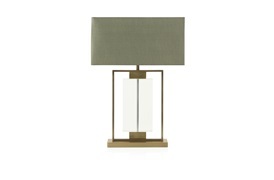 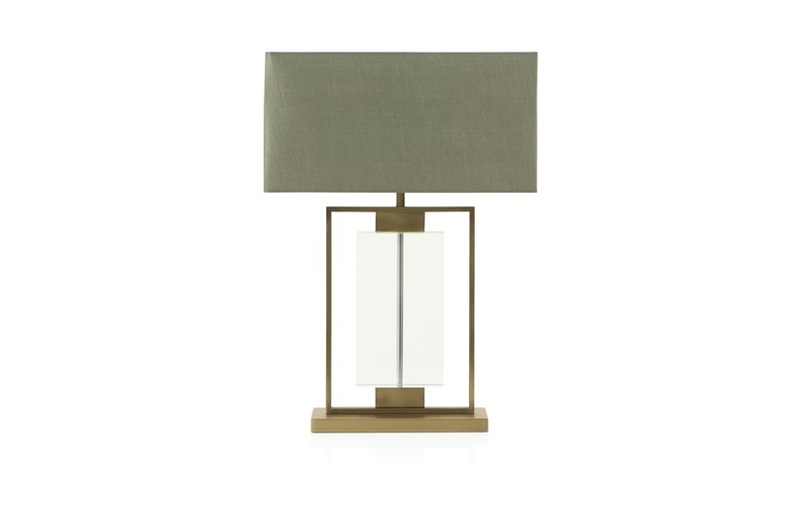 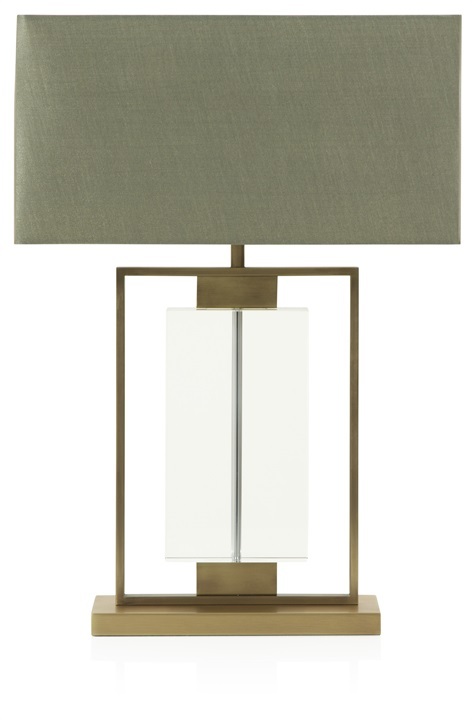 The clean lines of the stem and base are perfectly complemented by an angular green-grey shade.